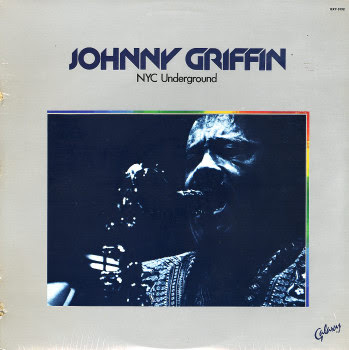 Listening now this album Johnny Griffin I recalled a concert in which I was years ago, which I keep good memories. At the same time, a couple of days I reescuchando to Ronnie Mathews (Griffin pianist in NYC Underground ) , another musician I have great memories live. Both died in less than a month apart during the summer of 2008. While NYC Underground sounded this afternoon, I thought of them and the times I've seen Ray Drummond and Idris Muhammad (completing the quartet recording Griffin), a who, fortunately, I have still time to see live. The record is what it is, neither more nor less. Pure jazz recorded in Village Vanguard in the late seventies, by a quartet of top musicians. Not great, but it is authentic. And thirty years later, it sounds fresher than most of the hard bop being recorded today.